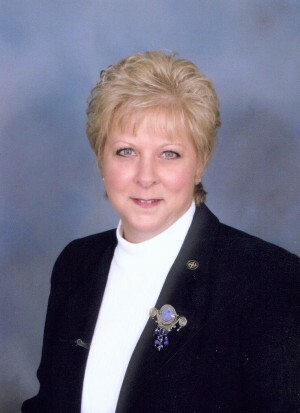 Oswego, NY – Rhonda Hutchins, CRCM, Vice President/Compliance Officer at Pathfinder Bank has been appointed to the Frontline Compliance Training Advisory Board for the American Bankers Association (ABA). The American Bankers Association has provided training and education for the banking industry for more than 100 years and is a leader in internet-based training and curriculum. The Frontline Compliance Advisory Board will serve as a strategic tool used by ABA to assist in delivering a world-class online compliance training solution as a benefit of bank membership. The Advisory Board is comprised of a core group of vocal and insightful administrators who share a desire to improve upon and sustain the Frontline Compliance training program. As a member of the Frontline Compliance Training Advisory Board, Hutchins will assist in recognizing shifts in member needs and emerging market opportunities, drive new product innovation, provide feedback on existing course and learning management system structure and functionality, as well as support program expansion through advocacy opportunities such as marketing, references and referrals. Hutchins started at Pathfinder Bank in 1997 as a Loan Originator, and was later named Vice President of Retail Lending, overseeing that division of Pathfinder Bank. In 2008, she was named to her present position as Vice President/Compliance Officer. Hutchins lives with her husband, David and son Joseph in the Town of Oswego. Pathfinder Bank is a New York State chartered savings bank headquartered in Oswego, whose deposits are insured by the Federal Deposit Insurance Corporation. The Bank has eight full-service offices located in Oswego, Fulton, Mexico, Lacona, Central Square and Cicero. Founded in 1875, the American Bankers Association represents banks of all sizes and charters and is the voice for the nation’s $13 trillion banking industry and its 2 million employees.